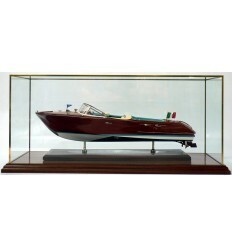 What about this desk model of the Catalina Capri 18 ? 8 inches in length and fully customized. 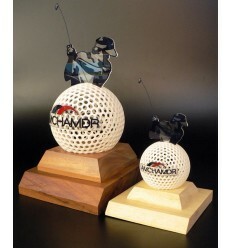 All our desk models come with a display case. This Catalina 445 Custom Half Model has been built for a US Yacht Club. Whether out of gift or just pleasure, Abordage is building new products for happier owners. Very reasonable lead time and cost are the idiosyncrasies of these models. So we have made surprised father and delighted customers. Don’t delay and place your order. 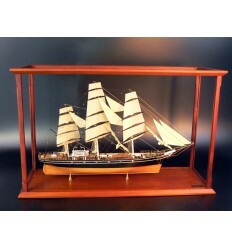 See this desk model of the Catalina 400. 8" length, perfect for your desk. 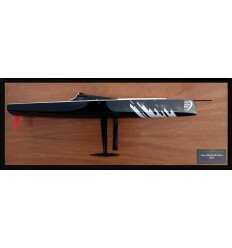 Don't wait anymore and ask for the desk model of your boat. 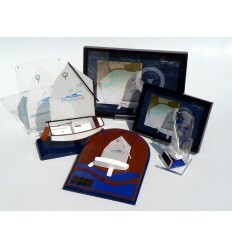 Comes with its protective display case. This Catalina 400 Custom Half Model has been built for a US Yacht Club. Whether out of gift or just pleasure, Abordage is building new products for happier owners. Very reasonable lead time and cost are the idiosyncrasies of these models. So we have made delighted customers. Don’t delay and place your order. 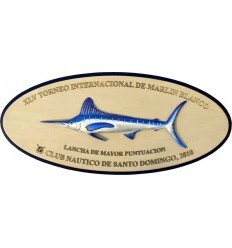 We build flush deck half hull but also half model with deck details. 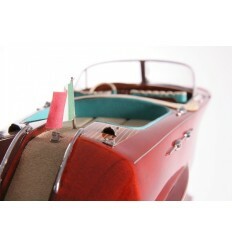 Discover this Catalina 387, a very detailed half model. See this flush deck half hull of the Catalina 380. A very well-done job. Look at this custom half model of the Catalina 38. Built upon request, fully customized, with a cabin top and coamings but no cockpit. 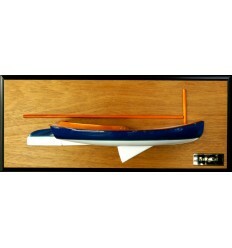 Scale 1/23 or 50cm LOA. 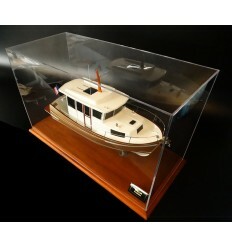 See our latest custom model of the Catalina 36 MK II, resin built. 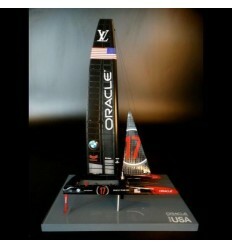 Scale 1/24 or 18 inches in length, pure beauty. 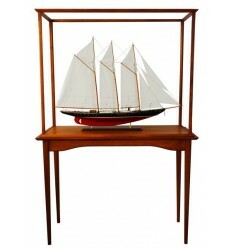 The Annapolis sailboat show brought us the owner of this Catalina 36 MK II desk model. We look forward to hearing from you. Review this Catalina 27 half model with deck details. Custom built, scale 1/32 or 10" LOA. Look at this flushdeck half hull of a Catalina 27. Scale 1/20, hull of 16"LOA.